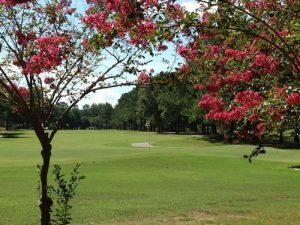 Quail Creek Golf Resort in Hartselle, Alabama offers a little of everything for the RV-golfer. While the golf course has been a popular destination for golfers visiting north Alabama over the last quarter century, the resort recently added 12 RV sites, with more sites projected for the future. 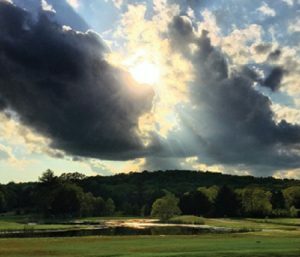 Quail Creek Golf Resort is 20 miles south of Decatur and 35 miles southwest of Huntsville in the foothills of the Appalachian Mountains. With a population of 15,000, Hartselle is the second largest city in Morgan County. Situated within the sprawling 600-acre Quail Creek Resort and Conference Center, the RV resort offers pull-through sites, full hook ups, including 20/30/50 amp service, water, sewer, bathhouse, and laundry facilities. In addition, the pet-friendly resort offers free Wi-Fi, an exercise room, fishing pond, and nature trails. The par 71 Quail Creek Golf Course features 18-holes and stretches to 6,520-yards. It includes well-manicured greens, fairways, tee boxes, a full service pro shop, along with a friendly and knowledgeable staff. Opened in 1993, this aesthetically-appealing and challenging 18-hole course will test golfers of all levels with its three lakes and more than 40 sand traps. The Beehive Bathhouse is a can’t miss destination for quality high-end body and bath products. Featuring both men’s and women’s products, the Beehive Bathhouse offers body silk, body spray, hair products, headache relief products, handcrafted glycerine soaps, mustache wax, pure shea butter, cuticle repair salve, and foot care products. Open since 2004, the Beehive received numerous excellent reviews on TripAdvisor.com. When the weather heats up in Alabama, and it will eventually, a great place to cool off is at the Hartselle Aquatic Center. This large, municipal-operated aquatic center features slides, diving boards, a lazy river feature, spray toys, kiddie areas, and concessions. It’s well worth the price of admission, especially if you’re traveling with children. El-Marie’s Antique and Art Marketplace in Hartselle is another fun place to spend an afternoon. This unique one-of-a-kind antique and art marketplace is located one block northwest of the historical district. In addition to viewing interesting items, art classes will soon be starting. For more information on the area, visit the Hartselle Area Chamber of Commerce website. You can also read more about Quail Creek Golf Resort on Campground Reviews.